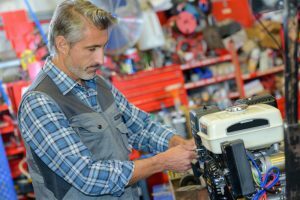 ​Generators are pricey machines that require your utmost care and maintenance for it to function well for years to come. 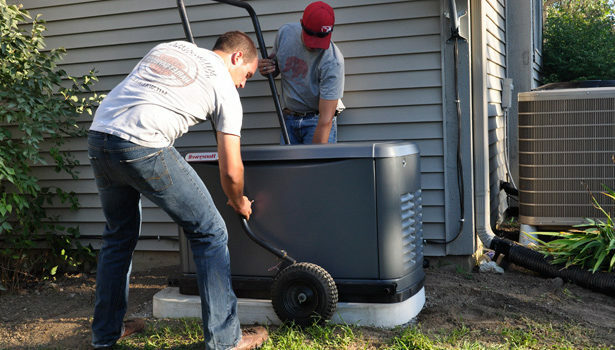 To extend the life of your generator, it is imperative that you take steps of protecting it. One great and simple way to do this is to purchase a generator cover that will shield your machine against all odds – rain, heat, wind, etc. 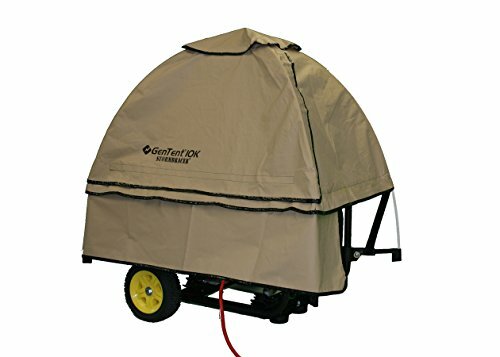 ​What are the important aspects of the GenTent Wet Weather Safety Canopy for Portable Generators? 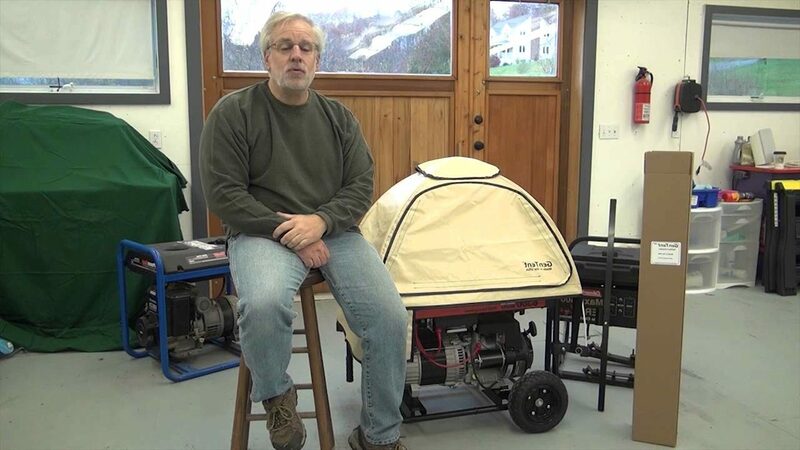 ​What other things should you know about the GenTent Wet Weather Safety Canopy for Portable Generators? ​The GenTent Wet Weather Safety Canopy, is especially made and designed for portable generators. Because of its efficient and ergonomic design, a running generator under any weather can use it. GenTent is designed to endure all weathers, especially the wet ones, such as the rainy and snowy seasons. After all, these are mostly the times when we would need the generator badly, as these rainy seasons can often cause electricity blackout. This product can effectively cover your generator so you can leave it safely outside while it powers your home. It is made of vinyl coated polyester fiber covering for strength, durability and marine grade performance. The cover is designed in such a way that no water can penetrate near the sensitive areas (motor, outlets, gas container, etc.). There is Velcro sewn on the sides for a snug, tight fit. It also features a skirt that covers most parts of the electrical outlet so it is safe to operate during rainy days. We all know that the combination of water and electricity can be greatly disastrous if allowed, so the GenTent Wet Weather Safety Canopy is designed to not let this combo happen. 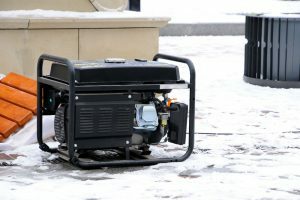 It is advised that a generator should be under appropriate temperature for its lifespan to be extended. If it is constantly getting boiled or fried in its own heat, it can take a great toll in its life and machine parts. 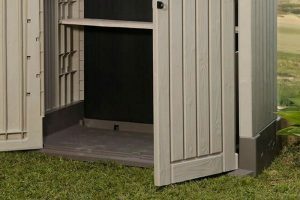 Unlike generator sheds or other full canvass enclosures, the GenTent Wet Weather Safety Canopy ensures that cooling air/ambient air is not blocked. 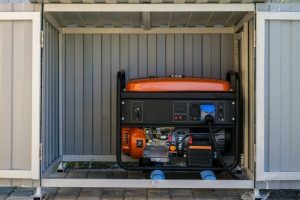 You can rest assured that even if your generator is fully covered against all types of weather, there are little spaces or crevices in your tent where ambient air can go in and cool your generator. As a result, your generator stays cool naturally and you don’t have to worry about overheating and fire hazards. The GenTent Wet Weather Safety Canopy features a clamping system that could adjust to a wide array of generator sizes. 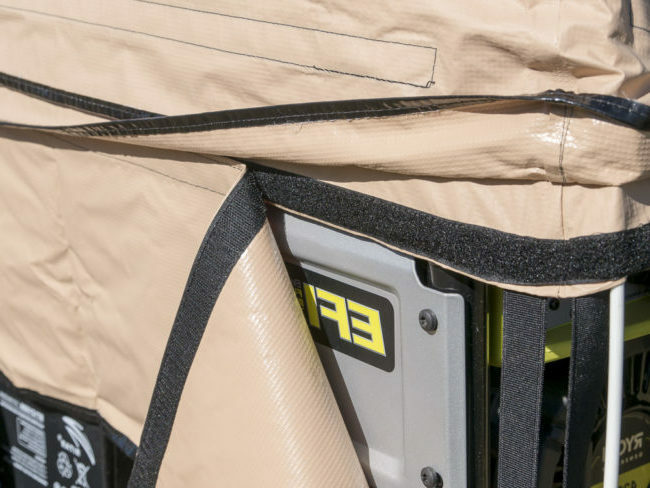 By purchasing this tent, you won’t have to worry if it fits your machine because the tent’s parts are customized to fit all sizes of generators. The clamping system has two parts: The main clamp body and the telescoping rode. This system allows adjustments to achieve optimum fit for your generator. The telescoping rods have holes so you can securely fit the frames and clamping system in it. Setting it up only requires three steps: Clamp it, Frame it, and Cover it. You don’t need any tools to install it; just follow the steps written in the installation manual. It typically takes only five minutes. Unfortunately, because the GenTent Wet Weather Safety Canopy is partly open to let ambient air in, it has no way of protecting your and your family against the noise your generator produces. 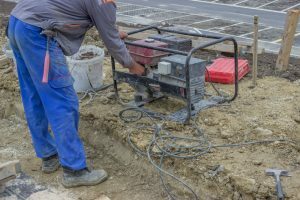 If you wish to lessen the noise, you may move your generator farther from your home but it’ll require more protection, especially when it comes to the electrical outlets involved. 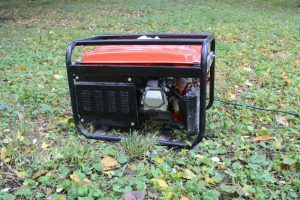 During the rainy season, operating your generator may have its risks. 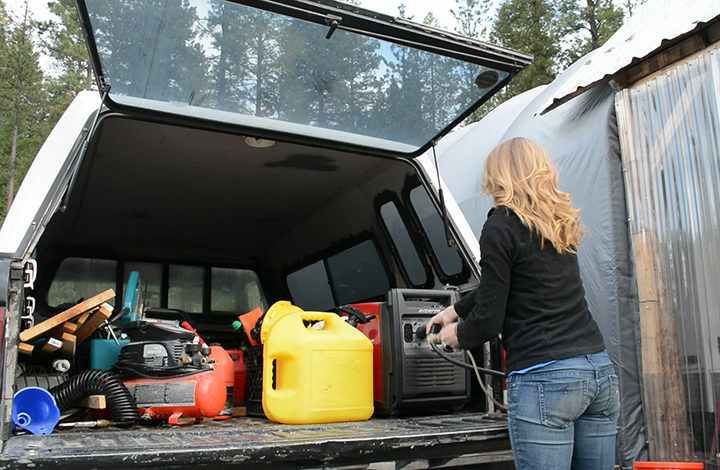 Although a simple tent can protect the body of the generator, few people have thought about the electrical outlet and wires involved. Good thing, the GenTent Wet Weather Safety Canopy has a long and short electrical skirt included in the package so all electrical outlets remain dry in wet weathers. 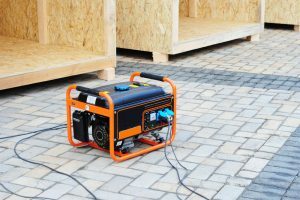 It is common knowledge that it is very dangerous to run a portable generator in a garage or somewhere close within the home where fumes can easily go in through the doors and windows. Manufacturers always warn families to operate their machines at least 10 feet away from home to reduce the risk of Carbon Monoxide poisoning. Due to this, many users opted the use of sheds or tents to protect their generator while in use without having to worry about the fumes. The GenTent Wet Weather Safety Canopy not only houses the generator to protect it from the changing weathers but also to protect the family using the generator. The tent also ensures that the generator is not enclosed in a space where heat and emissions can build up. It disperses the heat effectively, which in turn prolongs the life of your generator. ​The GenTent Wet Weather Safety Canopy is a good investment especially if you live in a place where rains and snows strike hard and you almost always loses electricity connection. It effectively houses your generator in a distance where your family remains safe. You don’t have to worry about your operational generator being exposed to all weathers, as the tent would keep it covered no matter what.